We were deeply saddened to hear on Sunday that Weeshie Fogarty had passed away. Weeshie was synonymous with sport and in particular Kerry GAA. He was the proud holder of a Munster U21 and Junior All Ireland medals with Kerry. He also had a distinguished career as a referee. Weeshie’s kind and pleasant personality endeared him with people all over the world and his knowledge of Kerry GAA was mesmerising. Those at home and the diaspora abroad tuned into Radio Kerry to hear his passionate commentary on Kerry games. The sadness at his passing is quite evident in the county. 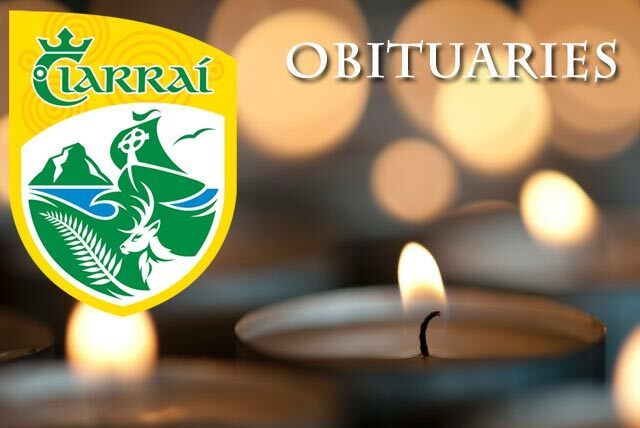 We offer our deepest sympathy to his wife Joan, daughters Denise, Carolann and his son Kieran also to his club Killarney Legion and his Radio Kerry Colleagues. May he rest in peace and look down lovingly upon his beloved Fitzgerald Stadium. Ní bheidh a leithéid ann arís.